Take a Look At YOU now! To celebrate the release of Take A Look At Me Now – and Nell’s story of making changes in your life when life lets you down – I asked my lovely Twitter and Facebook followers to share with me how much their life has changed. The stories that they told me are amazing: funny, witty, touching, courageous and downright brave. Read these and feel good about life! @shoefiend1984 4 years ago I’d just been dumped by my fiancé via text and forced to leave my job & move back home, now I’m sitting in Sicily with a successful career, my own flat, my own car and happy with my life! @_shelovestoread 5 years ago I would do anything to please other people. Now, I live my life for me and do things that make me happy. Loretta Livingstone 15 years ago I was almost housebound, and had to rest in bed morning and afternoon. I am still almost housebound, but no longer confined to bed in the afternoons. And I have written 4 books. No way would I have been well enough to do that, even 5 years ago. Life looks good! @clareren 10 years ago I became the voice of my 2 year-old son to get him the support he needed. I’m still talking and won’t stop till he needs me to! @alexalovesbooks I’m married! I’ve also got a stronger sense of what I’d like for my own future, and am building towards it. Take a look at me now! @lizzie256 5 years ago I was 21 and looking forward to spending the first Christmas with my boyfriend. Today I am married to that boyfriend and we have two beautiful children! @welshhedgehog 15 years ago I had only just met my husband (to be). Now married 14 years and 3 children later. @Feetpaintwords 20years ago I worked in accounts. Now I’m a qualified reflexologist, a water-colourist and a writer! Take a look at me now! 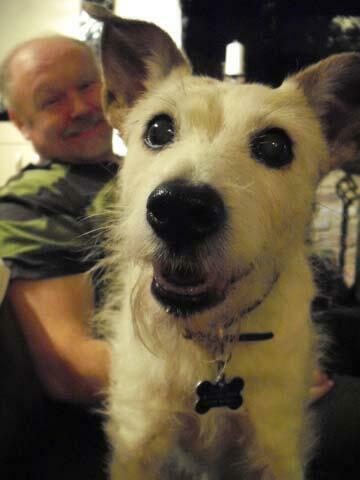 @Feetpaintwords Missy would like to say that, eight years ago, she was in Battersea Dogs & Cats Home waiting for a home. But Take A Look At Me Now! @InessaS This year I decided to do something that I love and I stopped to do in 1994: WRITING stories! 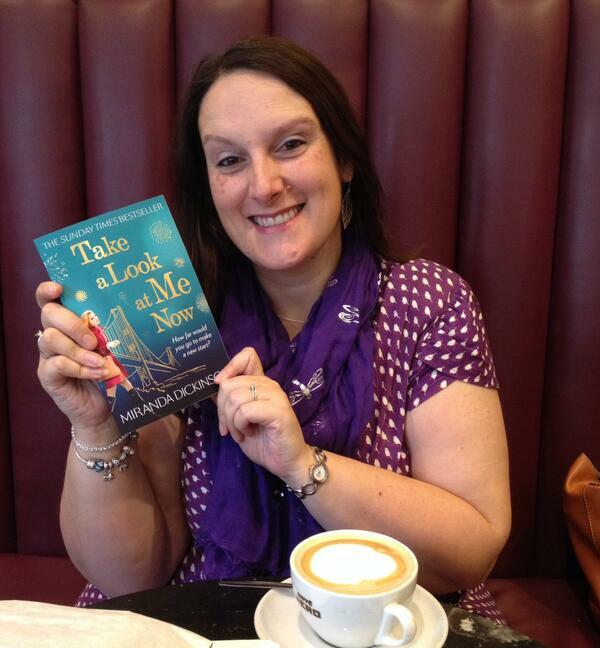 @karamina 5 years ago I was wondering if I’d ever be brave enough to write the novel I’d been carrying in my head. 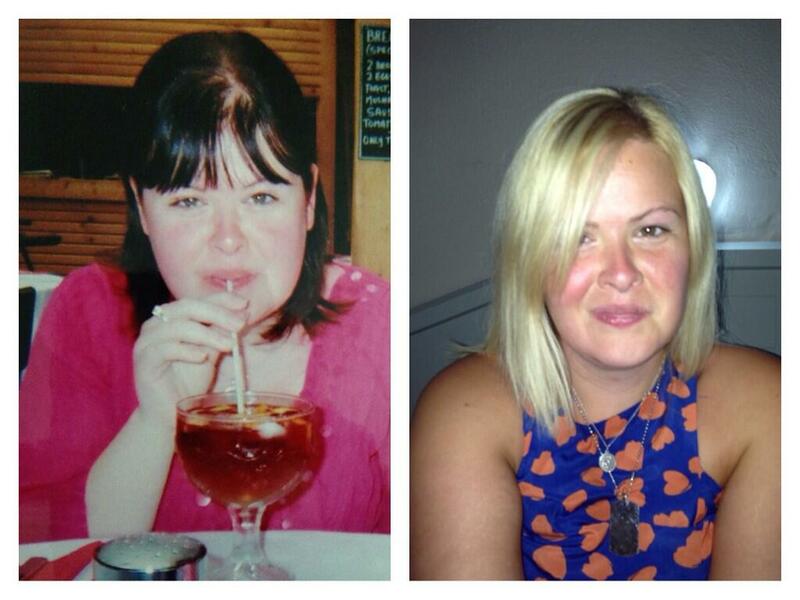 @dazd 5, 10, 15+ yrs ago I was fat n unhealthy, now I’m over 6stone lighter, healthy, slim, no illness and SO happy. Take a look at me now! @ChickLitChloe 10 years ago I was 17, getting ready for A-Levels and applying to Uni. Now I’m living somewhere else, got a 7 year old+ I’m a TA! @sam_smith73 5 years ago I was flying as cabin crew, and single today I’m married, a qualified teacher and loving it! Rosemarie Sayer At 39 I’m now lucky enough to be fully congruent & self aware, comfortable in my own skin, yet more cynical! Trish Tishylou Hills 15 years ago I was still living in Canada, working in a corner shop 20 hours week and had not yet discovered chick lit. 10 years ago I had only just met my partner and still lived at home with my Mum. 5 years ago, I was in a dark place that got even darker for a while but I pulled through it and am happy now. I run my own business and get to review the books I love! Tara Hooper 15 years ago I left a really toxic marriage and moved back in with my patents. 10 years ago I went snowboarding for the first time discovered a passion. And 6 years ago I was about to marry my wonderful hubby on my 37th birthday! Sophia Valentine I had attended college for 5 years studying Law, got my Diploma, worked in a Solicitors for 5 years, got a promotion, thinking it was all i ever wanted. Quit last year to work abroad, met someone and been in Ibiza ever since, learning Spanish and working toward getting published. I didn’t have a fro, but I had a dreadful perm at aged 16, which was apparently ‘in’ at the time! Lol!! Gail Ellen Parnell 15 years ago, I was working as an assistant to two managers in Dudley and getting to grips with writing, ten years ago I was zipping round town in my little car after almost giving up learning to drive – it took me give attempts and five years ago, I was working as a CCTV operator which proved to be one of the most eye opening experiences ever. Julia Rich Was Wright 15 years ago I was in the early stages of a new relationship but had already worked out he was “the one”. 10 years ago I was dealing with redundancies at work (and can feel the tension in my shoulders again just thinking about it). 5 years ago I was adapting to becoming a mummy for the second time (best job in the world). Louise Louby Skelding 10 years ago I was terrified of dogs, all dogs, and I didn’t like animals, now my whole world is an 11 month old Cockapoo and four little hamsters. Also Animal rights are a passion of mine! I’m a better person for this change. This entry was posted in Books and tagged advice, books, inspiration, life, Miranda Dickinson, Stories, Take A Look At me Now. Bookmark the permalink. What an amazing story your own life has turned out to be, Miranda. And your workplace’s loss was our gain. I have all of your books. Also, how kind of you to put all our websites down. Another brilliant read from a lovely lady. PS, some lovely stories here too. Good to see so many people are in a happy place. I’ve been stagnating for the last 20+ years following a very toxic relationship which left me with low self-esteem and confidence that anyone would want to be with me. I’m still single but now I’m happy to be by myself and am comfortable in my own skin. Since setting up my review blog 2 years ago I’ve gotten to do something I love, reviewing books, and though I still have moments of self-doubt the positive comments I receive from readers, authors & publishers make me believe that I am doing something right. Maybe next year I’ll finally pluck up the confidence to attend one of the many fabulous book events that I see being promoted. Like Miranda, I’m going to be facing redundancy next year and although initially daunted by the prospect I’m now looking forward to the future and trying something different after 24 years in the same job but first I’ve got to got myself back to full-health as currently have a few health issues. I will get there and hopefully win get my perfect job… maybe even something book related. Take a look at her now. I was stuck in a horrible relationship that I’d never previously been able to walk away from. After reading your book, I booked flights to Australia and within 2 weeks I went travelling on my own and finally started to feel like my old happy self again. It was the best thing I’d ever done! My original 6 week trip turned into 12 weeks. 4 months later I’m now moving out there for a couple of years! You were kind enough to add my story on here back in 2013 and, since then, things have got even better. I thought you might be interested to see what happened next. I wrote my first full-length novel (which I’d always said I couldn’t do, lol) and it has been short listed for the 2016 Historical Novel Society Indie Award. Never say you can’t do something, eh?